1. We're friendly, flexible, extremely talented professional musicians who love jazz and love performing. We play hard, dress well, and have a blast making great music. 2. We're not so much a jazz band as we are an experience. We're the life of the party on a mansion lawn. We're a Colorado sunset and a breathtaking view from the top of a fourteener. We're a wonderful, sweet memory. We're smiles and laughter from the French Quarter in New Orleans. We're a mood, an atmosphere, a vibe. 3. We're here for you. We love talking with clients about styles and song lists. We know thousands of songs and we're happy to try new ones. If it swings, it fits. We're also happy to customize into lots of different combinations, from a single to sextet - anything with Clarinet, Vibraphone, Piano, Bass, Guitar, and Drums (not to mention Vocals!). 4. We know what we're doing. We've been around for over 20 years, playing across Colorado and the USA. We've played in dive bars, swanky hotels, atop mountains, and in concert halls. We've sold lots of records and made lots of wonderful memories. We are the only sextet with our picture on the wall of the Colorado Music Hall of Fame at Red Rocks! But we don't play for likes, or ratings, or awards. We play for love and we'd love to play for you. Any time of day or night, we are your perfect band for any occasion. Submit a request today and Roger Campbell will promptly customize a quote to your needs and budget. 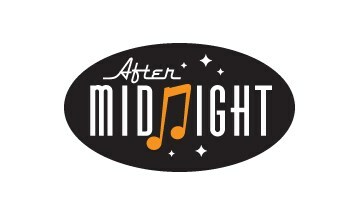 After Midnight was absolutely fantastic from the start. Roger, the main contact, was extremely friendly, responsive, and easy to work with. The night of the event the band arrived exactly when they said they would and played the five different songs we had requested (three of which were in their regular repertoire, two not) flawlessly. The rest of the music they selected for the evening was great and appropriate for our crowd. We had planned to leave our wedding half an hour before the end of our event, but were having so much fun dancing that we stayed until the last song. Friends and relatives are still raving about After Midnight’s performance three weeks later. We hired this band for a cocktail party and would do it again. They were on time, quick to set up and very personable. Their music is wonderful and really enjoyed working with them. We would recommend them to everyone. Thanks for a fun evening. Fantastic band! The music they played was exactly what we were looking for when hiring them for our Daddy Daughter Dance. They are outstanding performers and musicians and I can't wait to be able to use them again. I highly recommend them! I still have guests complimenting me for having this band play at our wedding. They loved hearing live jazz music to listen to during dinner! The band was so accommodating to my requests for songs, I had them play at two different locations during the evening at the venue and the were very accommodating for that request as well. They were so lovely to work with. They were very friendly. Any request or question I had, they got back to me very quickly. Their performance was great and I was so happy with how it all turned out. I definitely recommend them! I give my highest recommendation to After Midnight. They provided exactly what I needed for a very special event. They understood the requirements of my event (a New Orleans-style funeral with Dixieland music.) They are excellent musicians who play very "tight" together. They arrived early, helped me get things organized and going, and gave and gave music without fail. I have also seen them at a Jazz fesitival, where they made the audience very happy. They play big band and swing music as well as Dixieland and small ensemble pieces. I was very lucky to find After Midnight. We really liked this band! They were very talented and played a wonderful selection of music for dancing and just listening. All of our guests enjoyed After Midnight as well. We would hire them again and recommend them to anybody. This band was one of the best things about our wedding reception, even though there were a lot of great things about it. 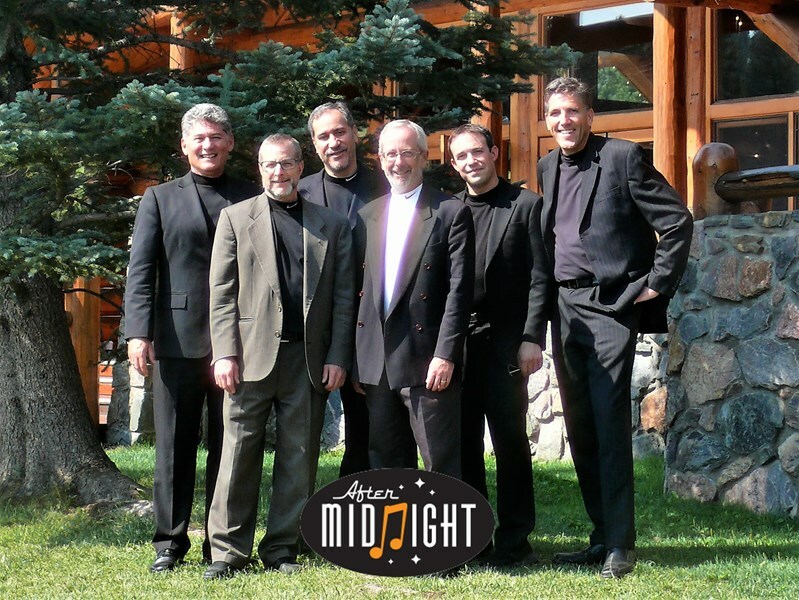 After Midnight was a wonderful band for our wedding reception! We had so many compliments for our band choice! I would recommend them to anyone! They were fantastic!! Roger and his band provided the perfect ambiance for our fundraiser. People were raving about how wonderful it was. We could not have been more pleased with this band! Thanks!! Incredible! After Midnight played at our wedding reception and they gave us the time of our life. Wonderful music, we knew that before by listening to their CD, but incredible kindness all along the evening and before. We asked them to learn 2 songs that meant a lot to us and they did and played them wonderfully!Instrumental music during dinner was great (How much we enjoyed the clarinette, Roger!) and Reka's voice after dinner was magical! The only regret : Despite their name and because of our venue, they couldn't play after midnight where as everybody was ready to dance until exhaustion. Two words to sum it up: HIRE THEM!!! We'll provide music for your ceremony, cocktails, dinner, and dancing! Up to 5 hours of our full sextet, complete with PA and stage lights. We'll learn your favorite song - if we don't already know it! Enjoy 3 hours of swinging music with our sextet! We'll provide PA and stage lighting. Classical music for your ceremony with light jazz for cocktails and dinner. Includes solo piano up through a trio or quartet. Perfect for setting that romantic mood! 3 Hours of swing dancing with our quintet! We'll provide a sound system and stage lighting. 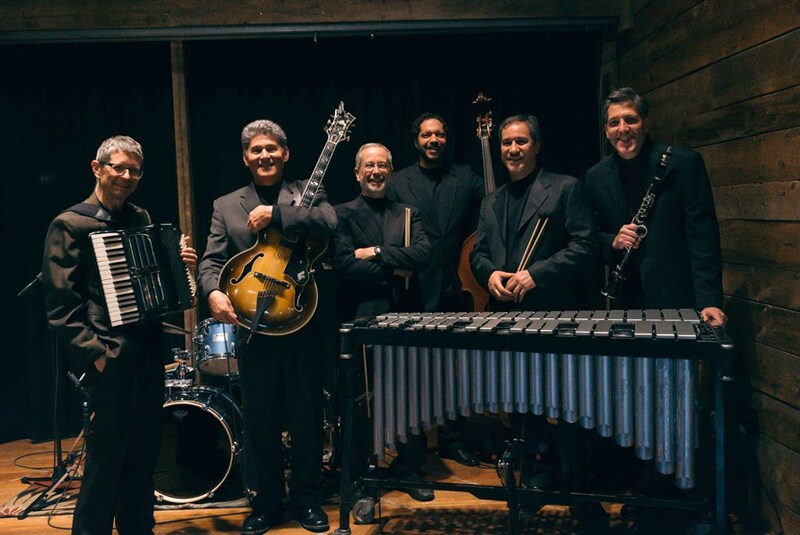 Our sextet specializes in music perfect for your next swing dance! We'll provide PA and stage lights if needed. We can even recommend dance instructors and performers! We'll jazz up holiday standards for your company party! We'll provide our own PA so you don't have to! Please note After Midnight will also travel to Highlands, Highlands Ranch, Englewood, Aurora, Denver, Louviers, Castle Rock, Parker, Lowry Afb, Lakewood, Morrison, Franktown, Sedalia, Indian Hills, Wheat Ridge, Arvada, Commerce City, Golden, Idledale, Dupont.